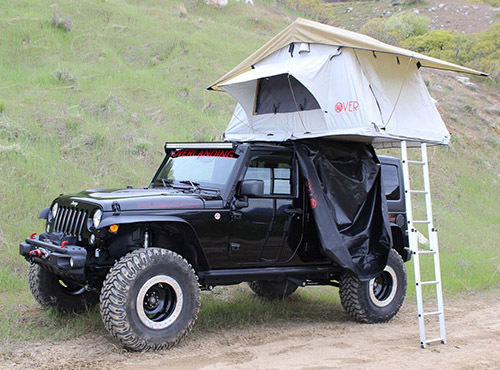 Explore the outdoors and camp wherever your 4x4 vehicle can take you. 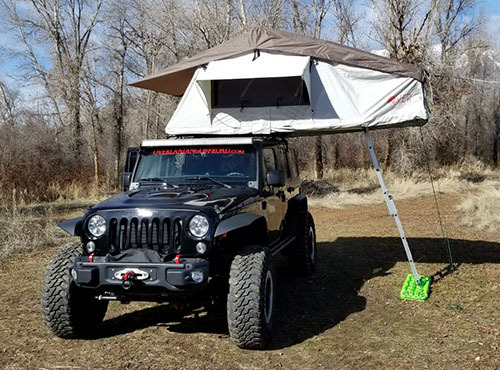 Our overland off road rooftop tents assemble in just minutes, allowing you to sleep off the ground away from bugs and critters. Manufactured with the highest quaility materials and craftsmanship, our tents will protect you in all kinds of terrain and weather. 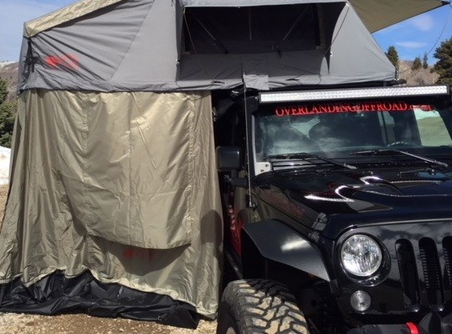 These tents are perfect for the camper who just wants to go out for a couple of days, to the serious overlander who will be spending weeks at a time on the trail. 1-2 man sleeping area, 125 lbs, comes with aluminum ladder, heavy duty cover, and all necessary tools for to install. 3-4 man sleeping area 148 lbs comes with aluminum ladder, heavy duty cover, and all necessary tools for to install. 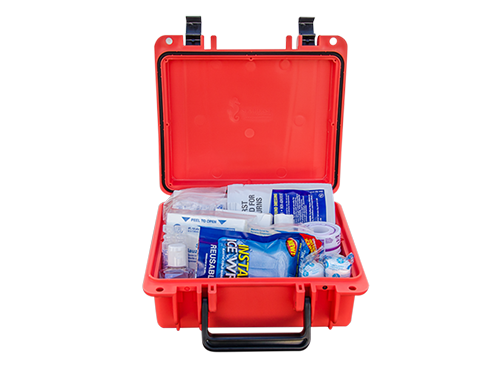 Kit comes with our Bandage pack of assorted bandages, Med pack of OTC medications. The Uinta Kings Peak Annex has a full surround enclosure and a thick durable floor. 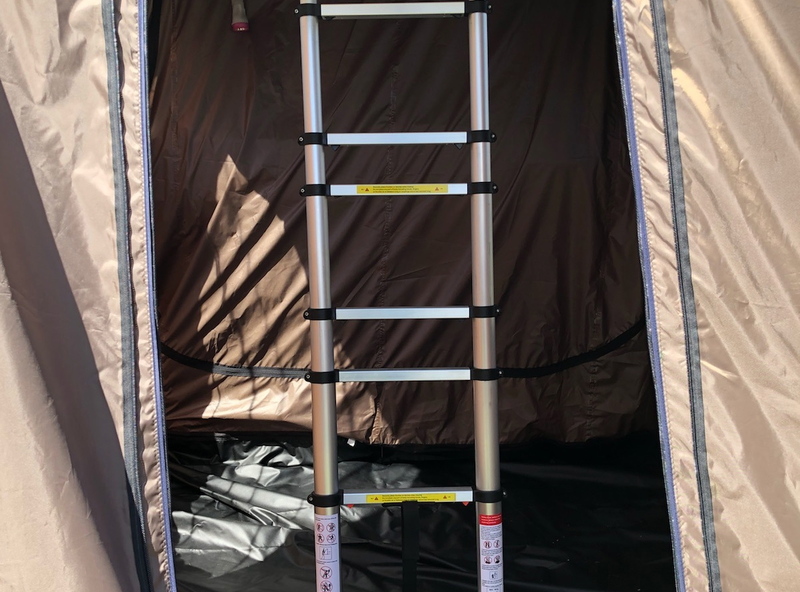 Upgrade your ladder with one specially made for roof top tents and taller rigs. 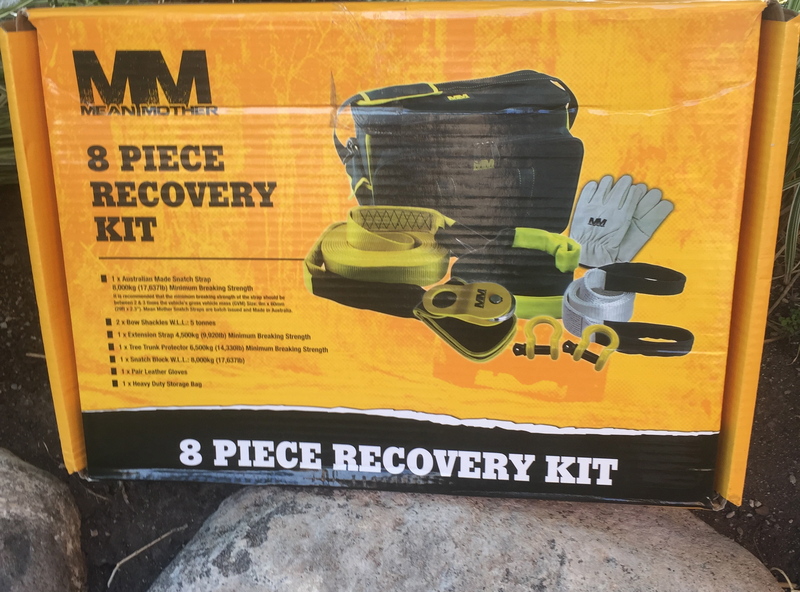 No drilling required, hardware included.